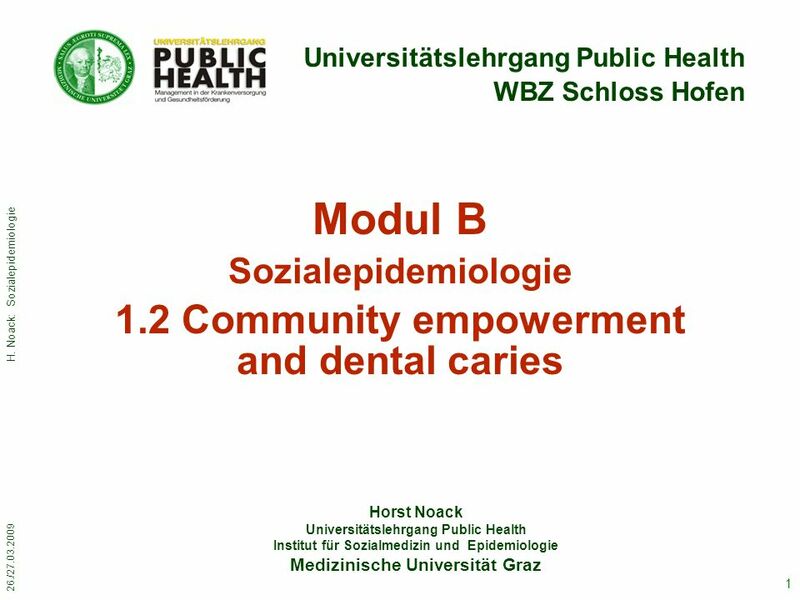 26./27.03.2009 H. Noack: Sozialepidemiologie 1 Horst Noack Universitätslehrgang Public Health Institut für Sozialmedizin und Epidemiologie Medizinische. 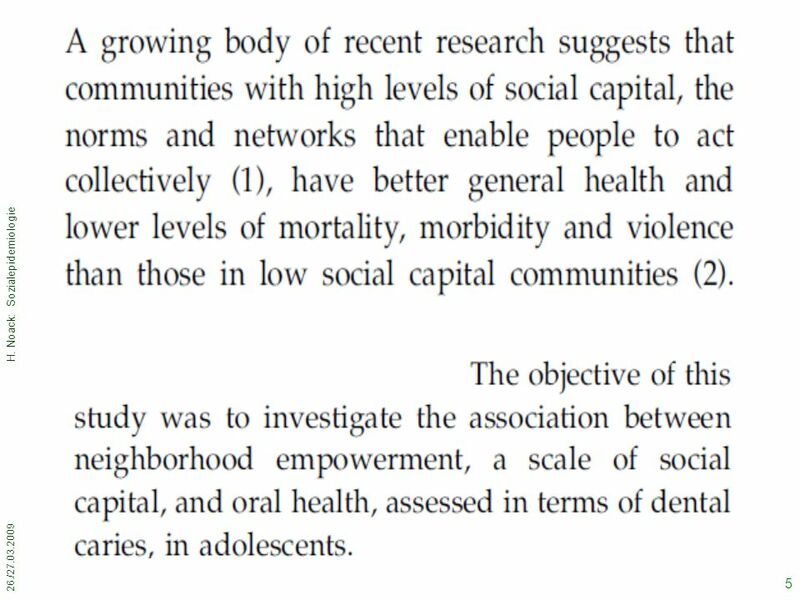 14 26./27.03.2009 H. Noack: Sozialepidemiologie 14 Points for discussion (1) Do the main findings of the study support social capital theory? 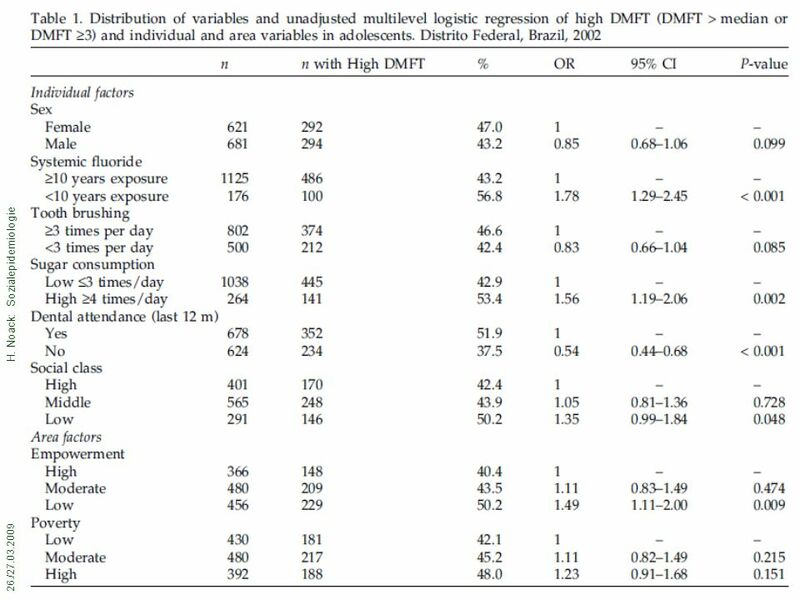 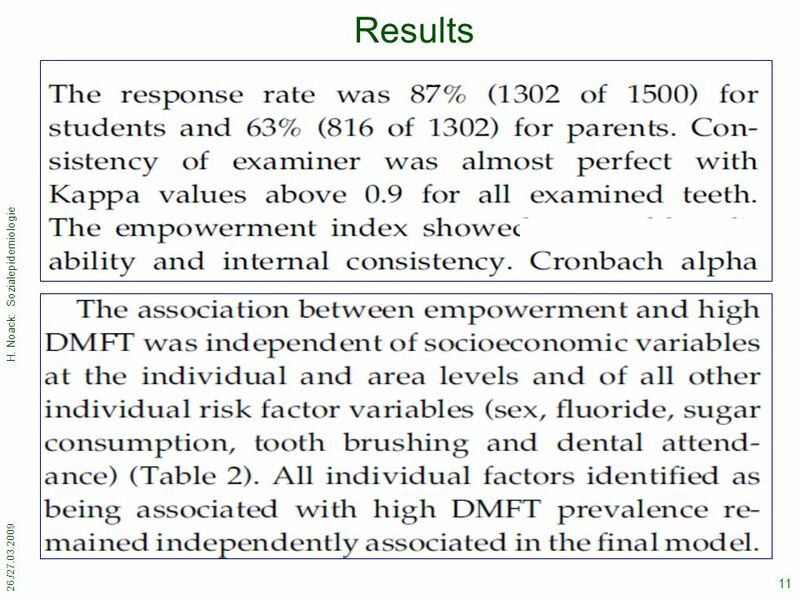 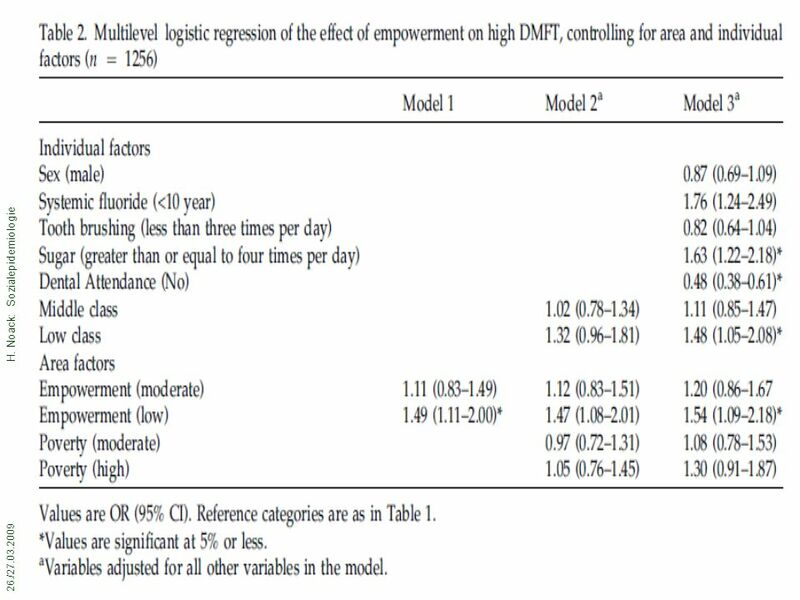 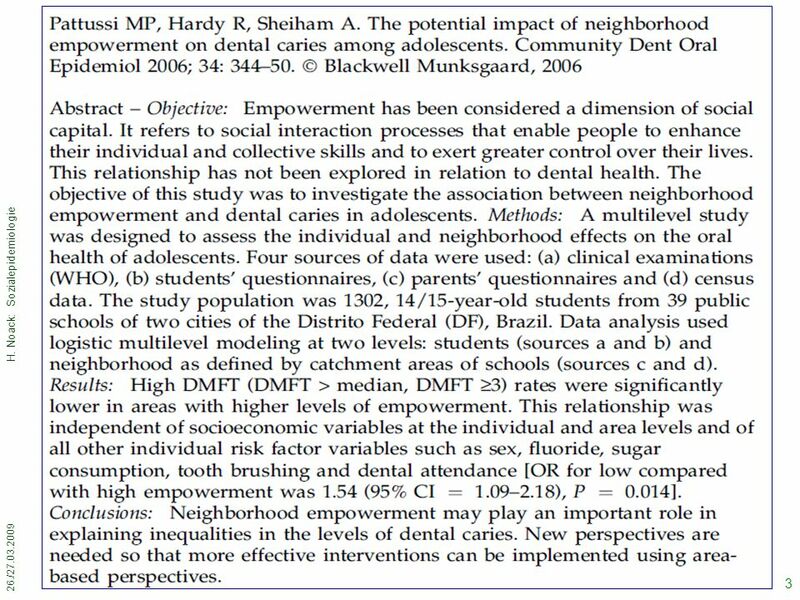 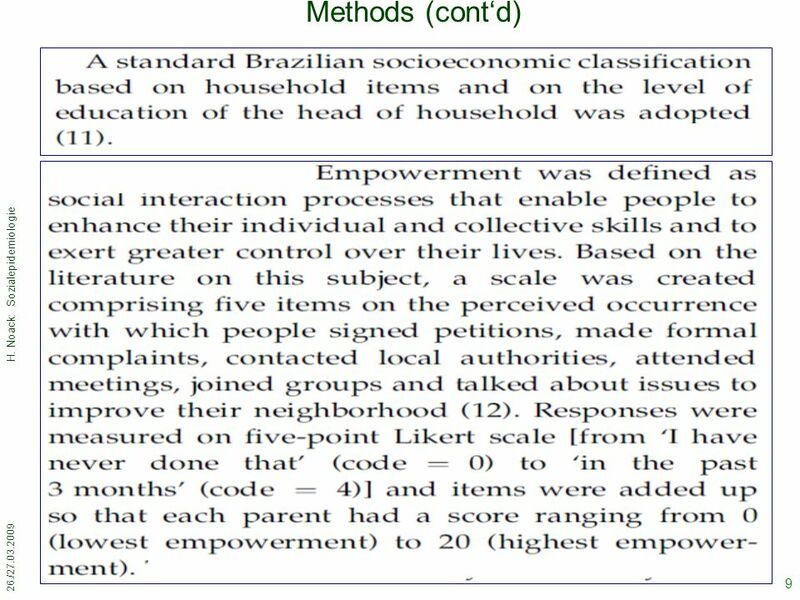 (2)What would be a plausible explanation of the relationship between neighbourhood empower- ment and high prevalence of DMFT? 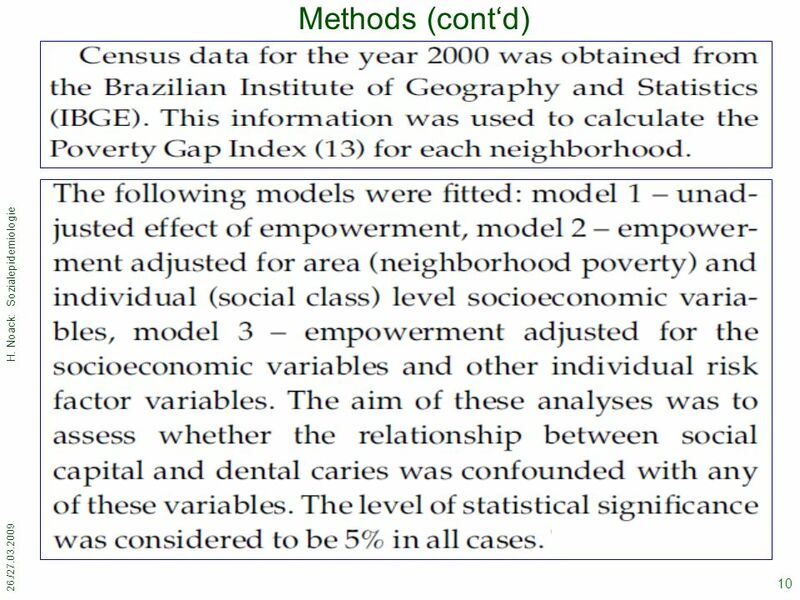 (3) Do the findings of the study support the working model? 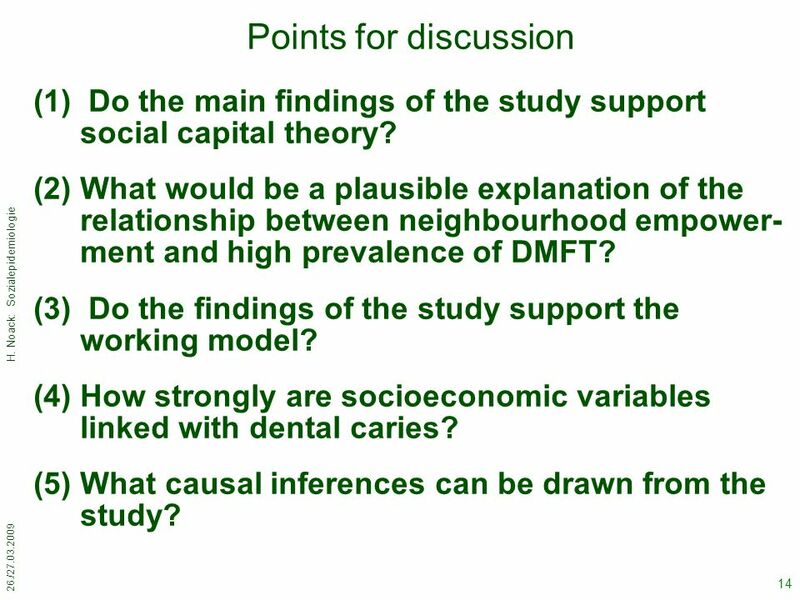 (4)How strongly are socioeconomic variables linked with dental caries? 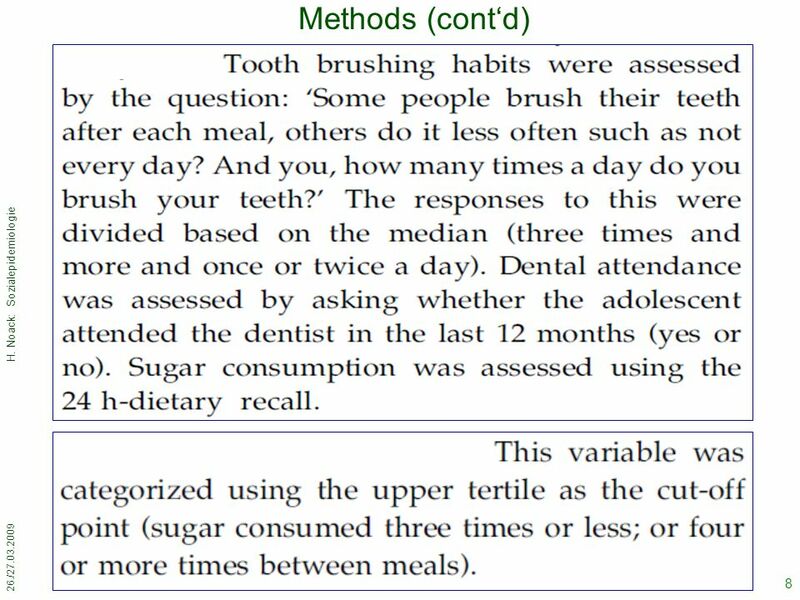 (5)What causal inferences can be drawn from the study? 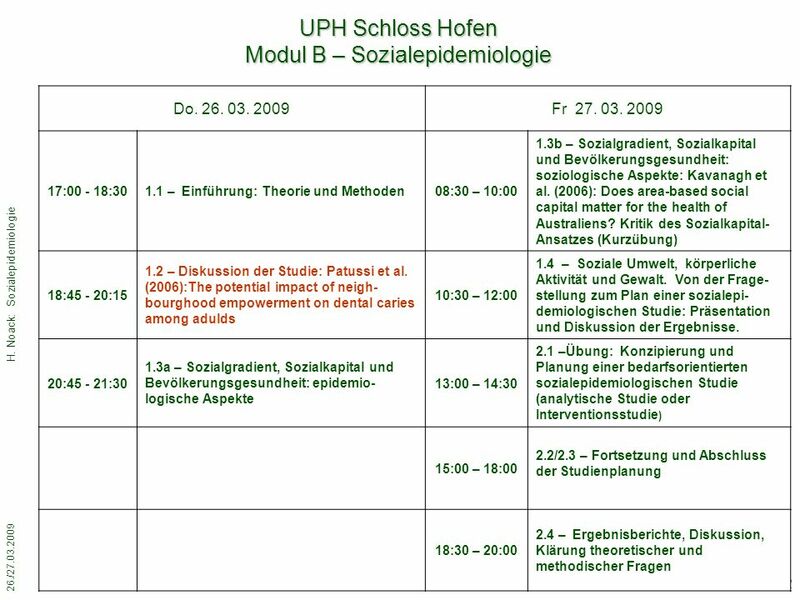 15 26./27.03.2009 H. Noack: Sozialepidemiologie 15 Abschließende Fragen zur „Karies-Studien“ Was sind die Vorteile des Querschnitts-studien- Designs? 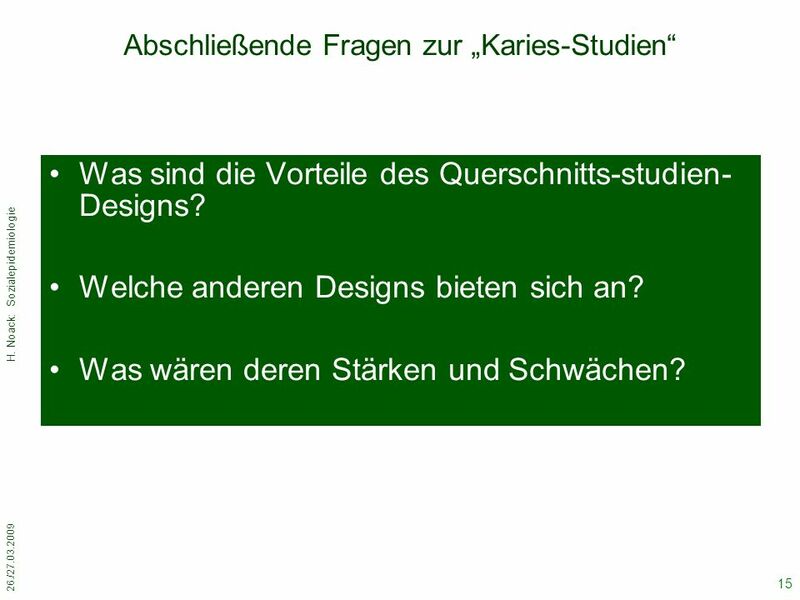 Welche anderen Designs bieten sich an? 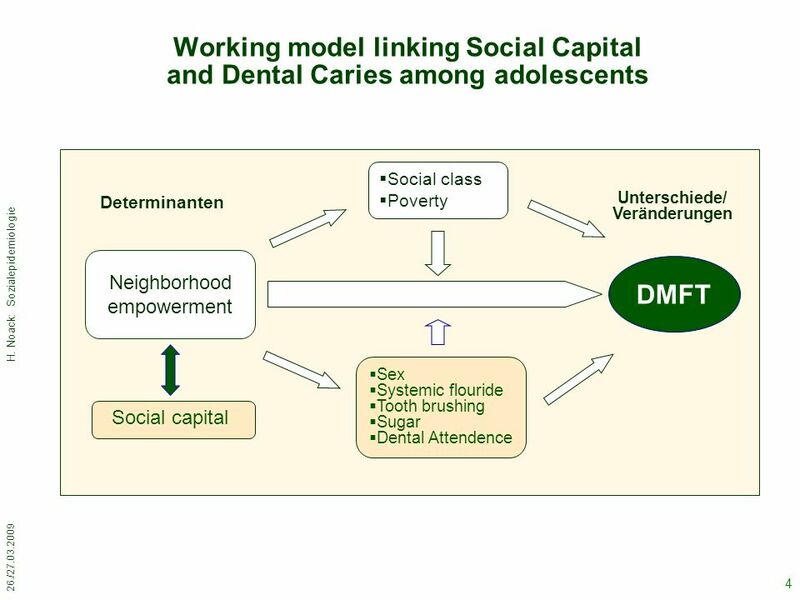 Was wären deren Stärken und Schwächen? 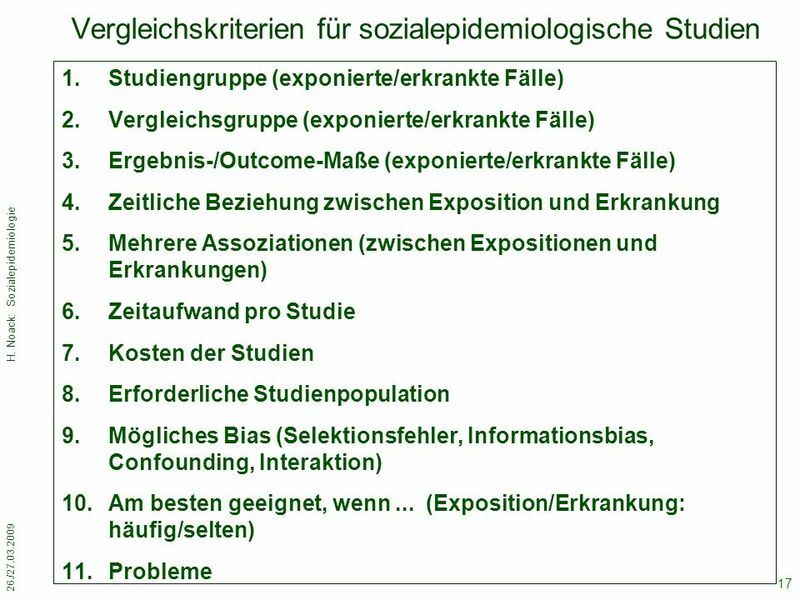 Herunterladen ppt "26./27.03.2009 H. Noack: Sozialepidemiologie 1 Horst Noack Universitätslehrgang Public Health Institut für Sozialmedizin und Epidemiologie Medizinische." 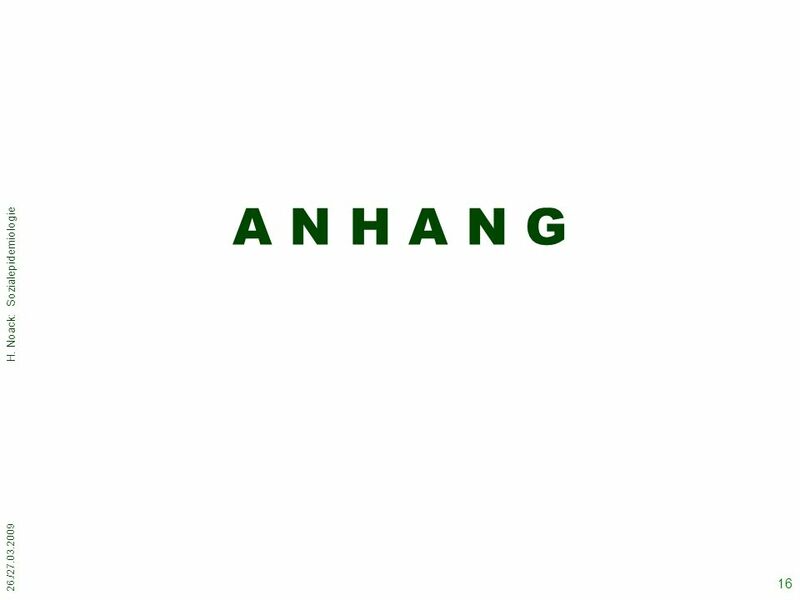 Arnaud Cassan ( ARI / ZAH Heidelberg ) 4th Planet Formation Workshop MPIA, 1 st March 2006 Discovery of a cool 5.5 Earth-mass planet through gravitational. 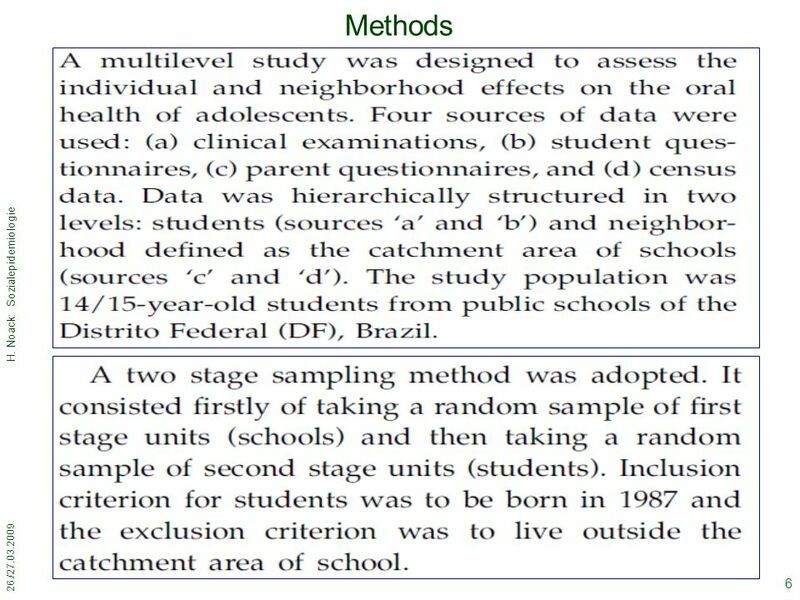 When writing a film/literary analysis, you will focus on specific attribute(s) of the film/text. 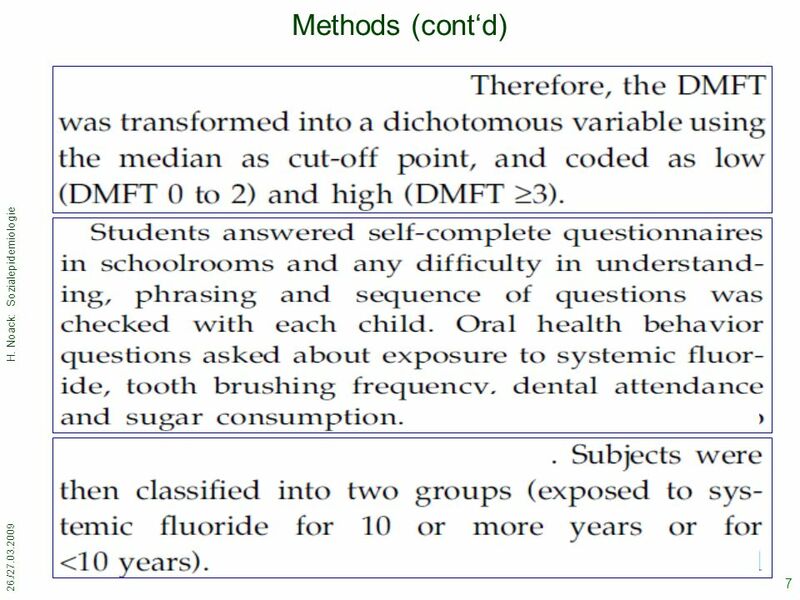 When discussing these attributes, you will want to make.